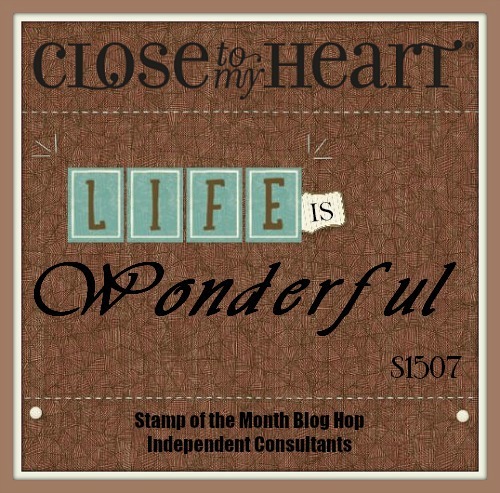 If you are coming from Traci's blog for the CTMH stamp of the month blog hop, you are on the right track. 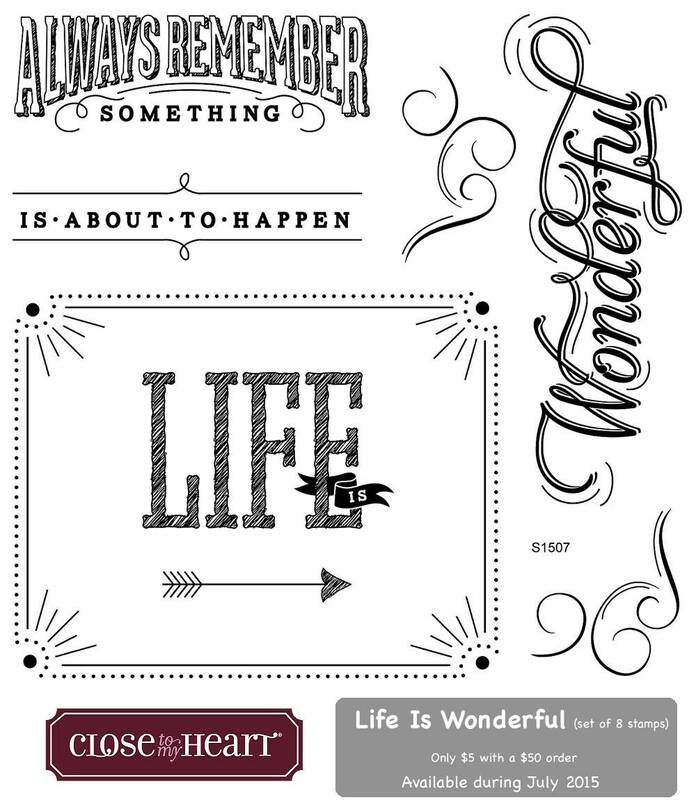 This month we are featuring a set of 6 stamps, Life is Wonderful, which is wonderful for creating cards, scrapbook pages, or other home decor. After viewing my work, just hit the red link at the end of my post to move on to the next blog. You will find that most consultants will have a similar link at the end of their posts. 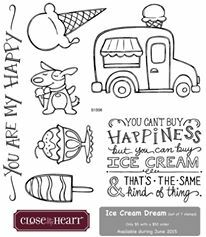 So sit back, relax, and cull the many creative uses for this stamp set. I have been wanting to start a scrap project about myself for quite a while now. So using the My Crush book, Wildwood, along with some Hopscotch Picture My Life cards and a previous Operation Smile special stamp provided the impetus to get this project going. 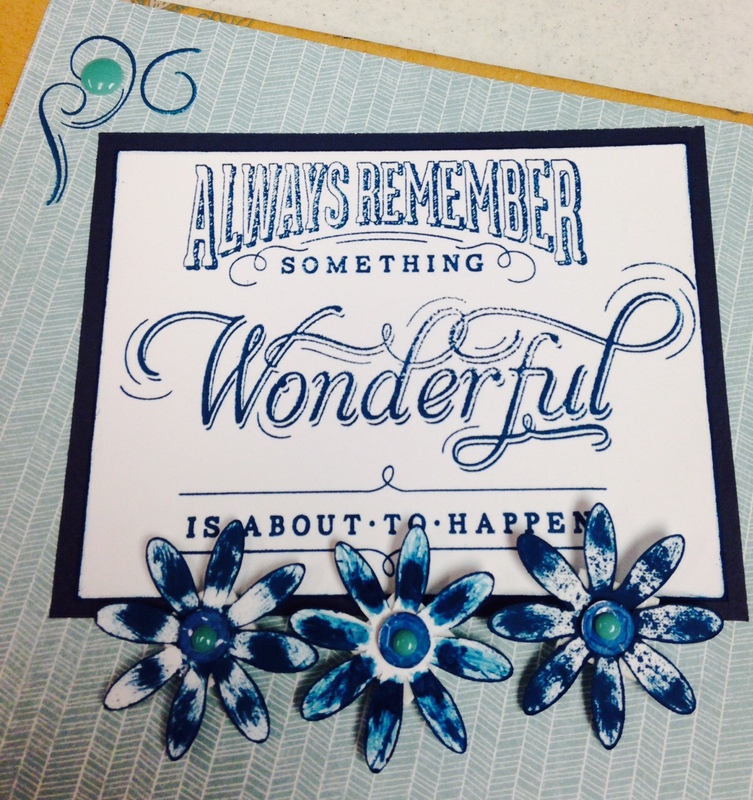 The small word wonderful is from You're the Bomb, an Operation Smile stamp set which is no longer available. I plan to use these pages for journaling a number of wonderful things that I have experienced in my journey through life. It is amazing that so many wonderful things have happened after some pretty troubled times. It's time to record those and hope that they will prove helpful and supportive for any troubled times in the future. 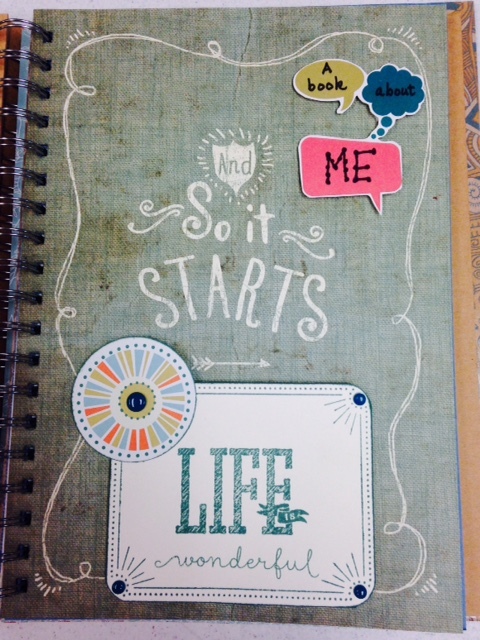 Here's a close up of the top of the journaling page. Products used: Blue items are links to these products on my website. 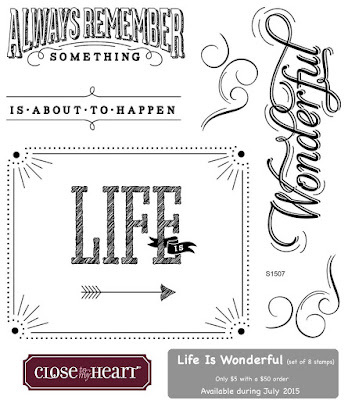 Stamp Sets: Life is Wonderful (July Stamp of the Month) and You're the Bomb (Seasonal Expressions Operation Smile Stamp set - No longer available). 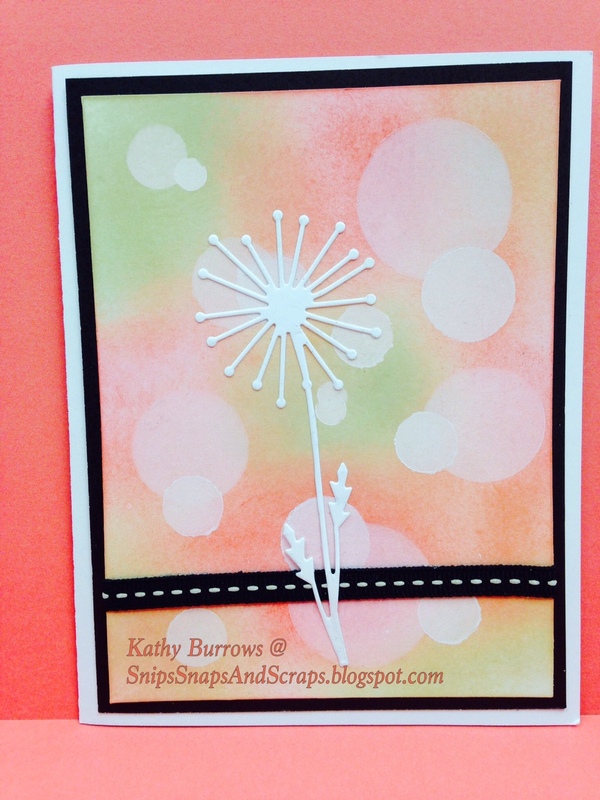 Normally, I try not to use retired materials in my blog hop posts. This time they fit my needs for this project so well, I needed to use them. Remember, the stamp of the month is only available until July 31st. It sells for $17.95, however, with a qualifying order of $50, you can get it for only $5. 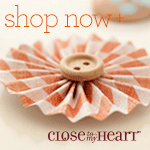 Visit my website to order yours or contact me. Your next stop along the hop is Jenny's blog for another creative spin with this stamp set. 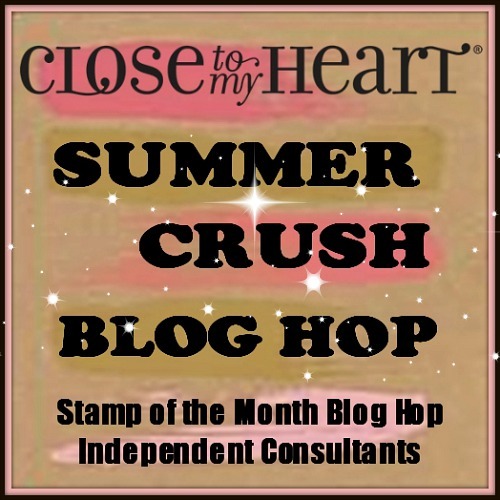 If you are coming from Brenda's blog on the My Crush blog hop, you are on the right track. 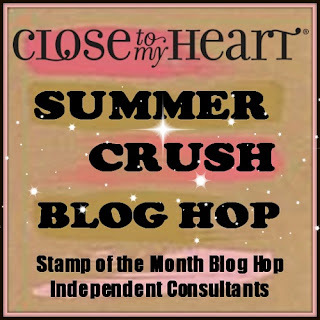 This month we are featuring various projects using the My Crush albums. There are so many different ways to use these wonderful albums. 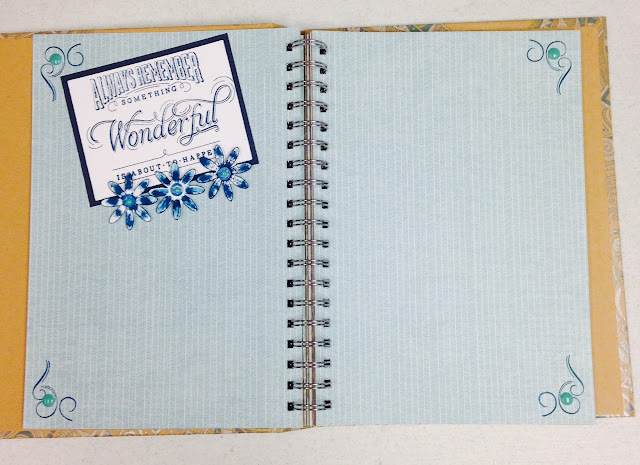 Beside using the albums as designed, you can take the pages out of the book to use on traditional scrapbook pages, to make cards or any other paper project you might think of. So hop on board and see the creative ideas of over 30 consultants. For my project, I've decided to start the garden journal I've been wanting to do for the past several years. My intent is journal what I've done so far in my perennial garden and yard this year and and continue throughout the summer and fall with notes, thoughts, and pictures. My first few pages include some of my favorite pictures from last fall as well as pictures from this spring. The buttons and brads used are retired CTMH products. This link will take you to my website to see samples of the various My Crush Books, assortments, and coordinating stamps sets available. 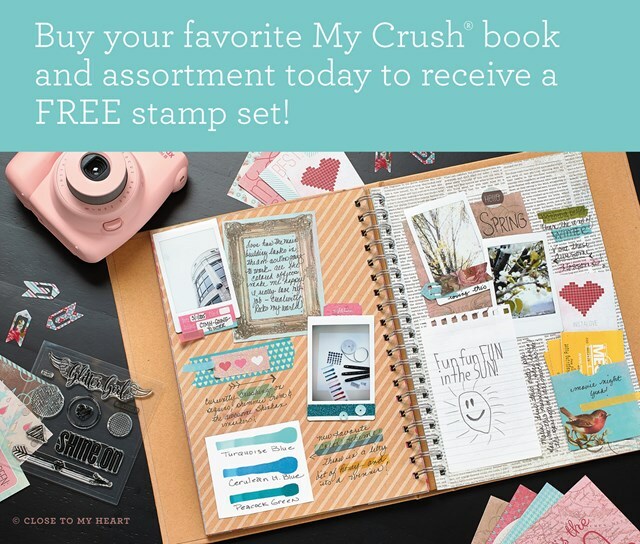 Don't forget to take advantage of the special this month -- buy your favorite My Crush Album, the matching assortment package, and get the coordinating stamp set FREE. ($9.95 value). I will add a free workshop for anyone who lives in my area that orders this special and would like to start an album or journal project of your own. Your next stop on the hop is Michelle's blog. Enjoy! If you get lost along the way, you can find the complete blog list on Melinda's blog. My Crush Books -- What are they? My Crush Books -- I'm working on one now --- using it as my garden journal. I'll be following up with pictures in a few days for the special blog hop featuring these wonderful little scrapbooks. Remember the CTMH special this month features all the different my crush books. Take a peek here to see.